Introduced in 2014, the third-generation 2015 Smart ForTwo arrived with massive improvements over its predecessor. 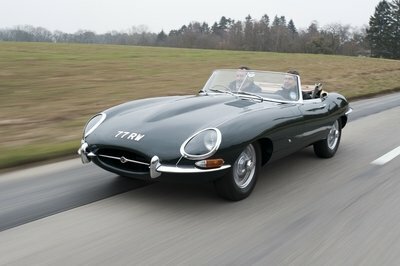 The overhaul included a modern and more appealing exterior design, a fancier interior, and a new engine lineup. For 2015, the third-generation model is set to receive its highly anticipated Brabus suit, which will turn the city car into a slightly more aggressive rig. 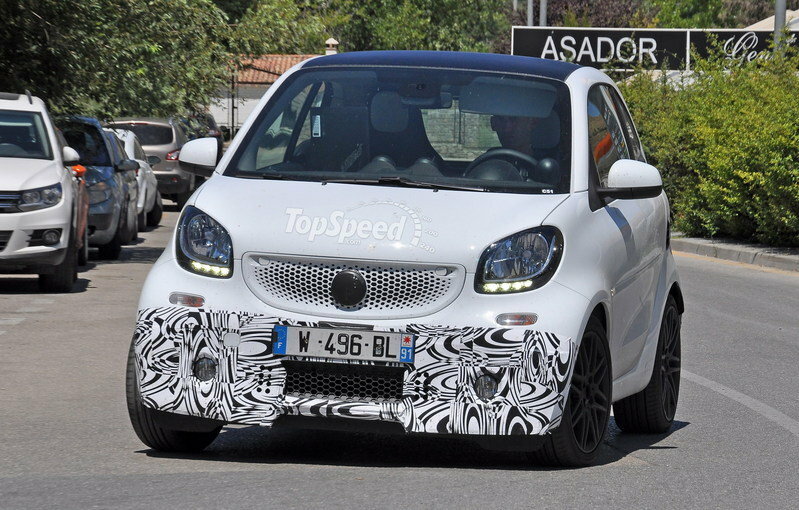 First spotted testing in July 2014, the upcoming 2015 Smart ForTwo Brabus just came out for more testing, and our trusty paparazzi were once again in the right place at the right time. Not surprisingly, the prototype received a handful of changes since we last saw it, at least on the outside. Interior updates are still a mystery, as is the drivetrain, as it is not yet clear whether the Brabus will use the 0.9-liter, three-cylinder or the bigger 1.2-liter four-banger. However, the likely scenario is the performance city car will use a retuned version of the turbocharged three-pot with some 120 horsepower and 115 pound-feet of torque on tap. 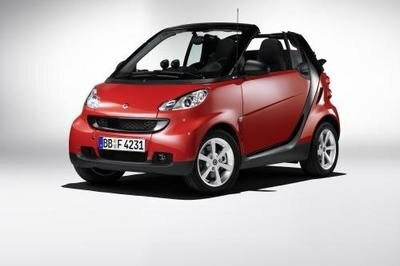 For reference, the current most powerful Smart ForTwo has 90 horses and 99 pound-feet. 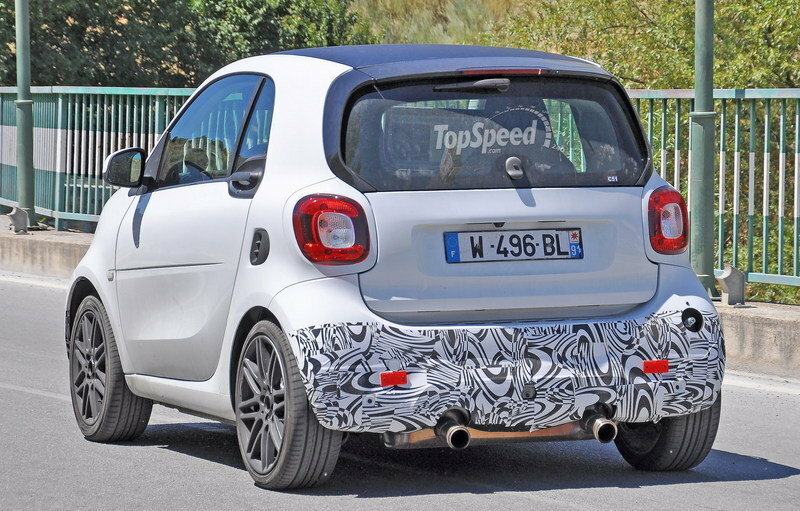 We will learn more about the powerplant motivating the ForTwo Brabus as soon as the vehicle breaks cover at the 2015 Frankfurt Motor Show in September. 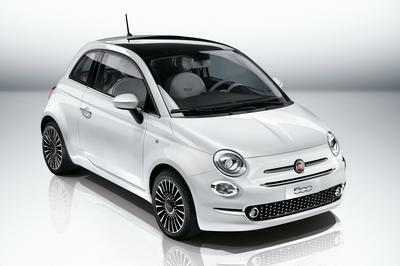 Meanwhile, let’s have a look at what we already know about this souped-up city car. Once I saw the previous prototype, I knew the Brabus version wouldn’t be a radical departure from the standard model. The front fascia seemed identical above the apron, with only the splitter-like element setting it apart. The front fascia seemed identical above the apron, with only the splitter-like element setting it apart. 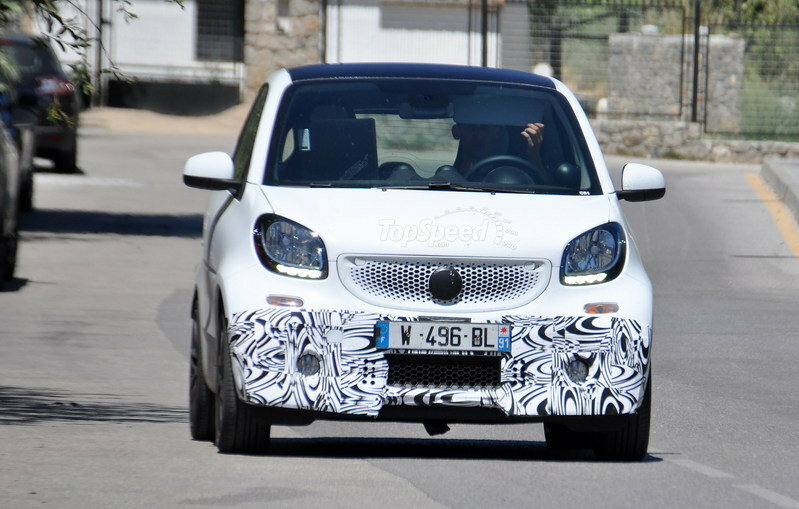 The splitter is revised on the new test car, but it’s still different that the stock ForTwo. Around back, there’s a twin-exhaust layout, which is the biggest indicator that this ForTwo is not a regular model. I’ve seen this configuration on past prototypes too, but now it looks as if the system is closer to its production form. However, I have a feeling the rear bumper has yet to receive the finishing touches it deserves. 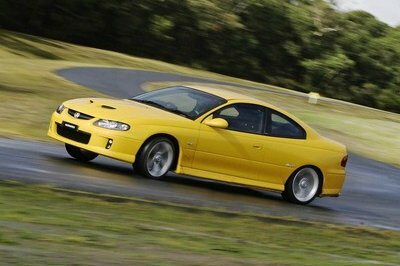 The bigger wheels and the lowered suspension add to the car’s sportier stance, and will improve cornering performance. Given the new ForTwo has received a wide track and improved handling and stability, I expect the new-generation Brabus to outgun its predecessor in just about every department. 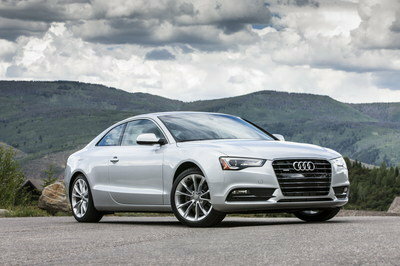 Read our speculative review of the model here. The third-generation ForTwo is a massive improvement over its predecessor and it’s natural to assume the Brabus version will benefit from those improvements as well. Of course, the ForTwo Brabus isn’t the kind of car you’d want to take to the track, but Brabus’ performance-oriented upgrades will most definitely make it the nippiest and appealing city car the segment has to offer.